The New York Times posted an interview with Google’s Andy Rubin about the future of Android, and there are some interesting tidbits inside, including full Adobe Flash support and the importance of openness. In a New York Times interview, Google‘s Andy Rubin seemed to take aim at Apple in the most congenial of ways. He didn’t bash Apple, but he did lay out why he thinks Google will come out on top in the smartphone wars–and a lot of those reasons are features specifically absent in the iPhone. Rubin “promised” that full support for Adobe Flash would come in the next version of Android, 2.2 (also known as Froyo–Android releases are named alphabetically after desserts, having already moved through Cupcake to Donut and now to 2.1, Eclair). Rubin may just mean full support for Flash Lite, which is already supported in some smartphones from Nokia and HTC but which doesn’t allow viewing of online video, including Hulu and Netflix. Hopefully he means the full version of Flash, which would be very impressive if true. He played up the benefits of “openness,” though when asked if the average (read: not a Linux geek) cares at all that Android is open-source, he responded that they’d miss it if it was gone. That’s not necessarily the most convincing argument, especially when Apple’s locked-tight iPhone has proven such a blockbuster. The efforts are not necessarily mutually exclusive, Mr. Rubin said. Undoubtedly, two tablets with two different Google OSes would prove confusing to, well, even me, and it’s sort of my job to understand the difference between devices like that (sorry, bosses!). That’s a legitimate concern–Android will be scaled up to TVs, as well as remaining on pocketable smartphones, and with different custom user interfaces and a breakneck pace, it may be hard to keep everything consistent. 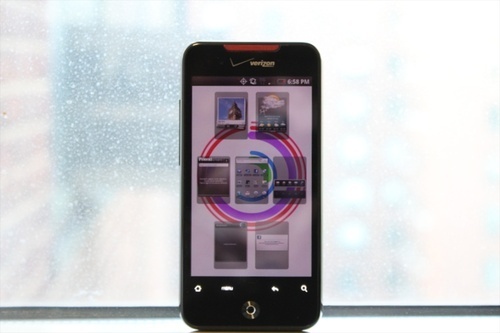 Will an app work on a heavily modified Android phone like the HTC Evo 4G? How about an old but Google-centric phone, like the T-Mobile G1? Rubin merely said that Google was working hard to make sure that issue was addressed–not too reassuring really. The moment of levity: the Times reporter joked about a top-secret Android prototype being left behind in a bar. Rubin’s response? “I’d be happy if that happened and someone wrote about it. With openness comes less secrets.” To Andy Rubin: I would be happy to send you my shipping address, to which the next top-secret Android smartphone can be sent. I even promise to write about it.